In a move to shore up their bullpen, the Los Angeles Dodgers have agreed to a deal with Sergio Romo. 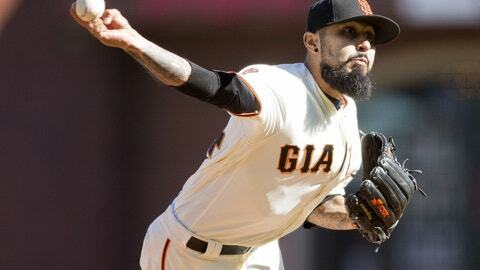 Veteran relief pitcher Sergio Romo will be switching sides in one of baseball’s most heated rivalries. After spending his first nine years with the San Francisco Giants, winning three World Series titles in the process, Romo will be joining the Dodgers. The deal was rumored to be in the works last week, and was confirmed today by Ken Rosenthal of FOX Sports. Source: Sergio Romo to #Dodgers, pending physical. Over the past nine seasons, Romo has been one of the most dependable relief arms in the National League. The soon-to-be 34-year-old right-hander has appeared in 515 games in the big leagues, and has a 2.58 ERA across 439.2 frames. Romo has also logged an additional 23.1 innings in the postseason with a solid 3.01 ERA. He does have some experience as a closer, having filled that role for the Giants in parts of three seasons from 2012 to 2014. Approaching the latter years of his career, Romo remains effective. His best pitch is a slider, which he threw nearly 62 percent of the time in 2016. Despite not having overwhelming velocity, the quality of his slider has allowed Romo to rack up 10.2 strikeouts per nine throughout his career. On the downside, he can be prone to the home run, allowing 1.5 homers per nine last year. Staying in the pitcher-friendly NL West should help keep that number in check. For the Dodgers, adding Romo to fill out the bullpen in front of All-Star closer Kenley Jansen. Even with the huge payrolls the team has supported over the past five years, Los Angeles has still struggled to field a lights-out ‘pen. The addition of Romo likely rules out a return to the Dodgers for Joe Blanton.